Medicom is pumping up their machines again to create another memorable Bearbrick from Keith Haring. The Purple design they chose for the second edition features the unique and wild style from Keith Haring again and is available as 100%, 400%, and 1000% Bearbricks. 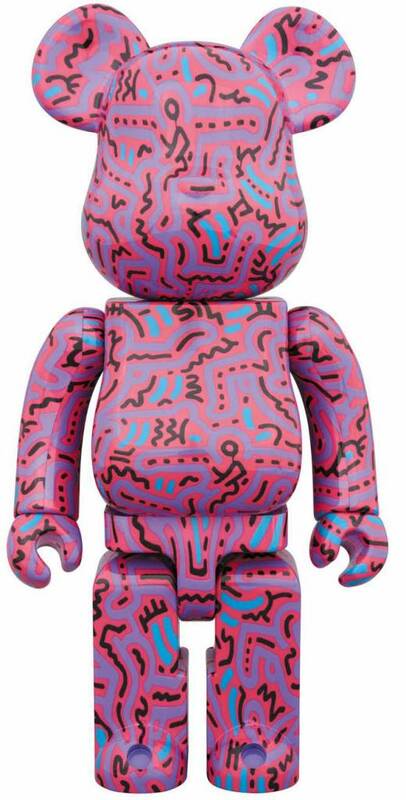 The 1000% Bearbrick - Keith Haring V2 is a limited edition.